Our latest telehandler sale, complete with boom suspension and a reversing fan. This customer chose custom wheels with solid tires. These are 100% puncture proof and offer great stability of your equipment. We topped it off with a 4 yard bucket from our friends at HLA Attachments. Over 15000lbs of capacity and roughly 30ft of reach, just one of many models from Faresin Industries. Alliance Equipment Ltd is now offering dock service, repair and sales. We have teamed up with Pentalift Equipment to offer a wide range of loading docks, levelers, vehicle restraints, door seals, hydraulic conversions, lift tables and more. Call us today for any of your loading dock needs. Alliance Equipment Ltd is proud to offer the complete HLA Attachments line. Whether your business is moving pallets, snow removal or agricultural, HLA has you covered. 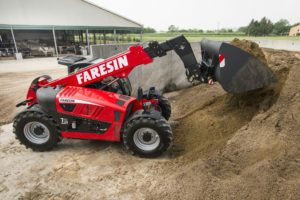 This great line of attachments is now available for our Faresin Telehandlers. Not only can we provide these attachments to suit our telehandlers but we can provide the right quick attach to adapt these machines to your existing attachments. Stop by today and see how Alliance Equipment and HLA Attachments can help your business. 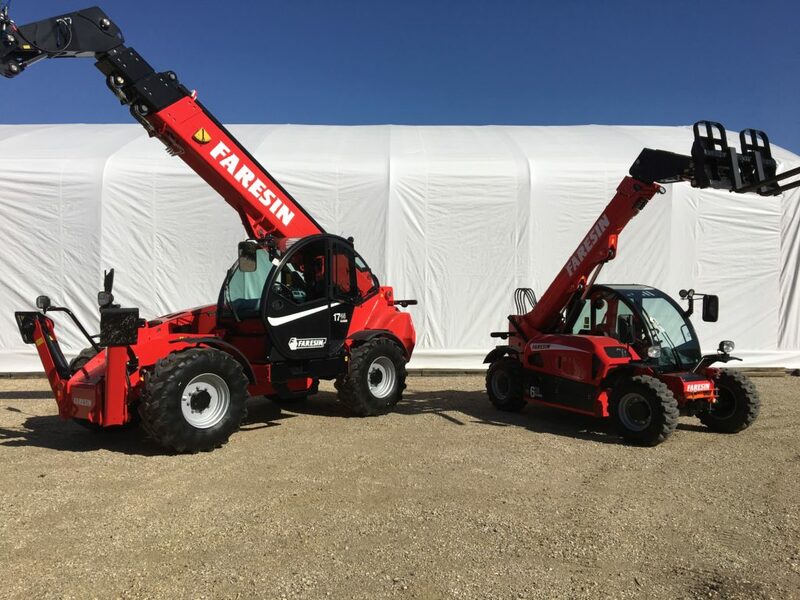 We just received 2 new Faresin telehandlers, ready for the Alberta market. The Small 6.26 model features a 5500lb capacity and 19 feet of reach. The Big 17.45 offers 10000lbs of capacity and 55 feet of reach. 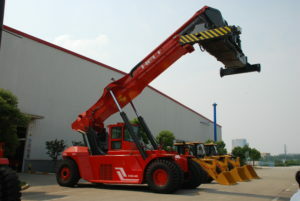 Both units come with Tier 4 diesel engines from Yanmar and Deutz. Both offer a DPF system which means no extra costs for diesel exhaust fluid. Power is transferred via the smooth operating hydra-static transmission so there is no rough shifting of gears. Safety features include overload protection and electronic level sensing and more. Stop by today and check out this great new line of equipment. We would like to thank Heli Canada for the tour of the Heli factory in China. We had the chance to take a sneak peek at some upcoming Heli products for Canada as well as the production lines and fabrication plants for all of their equipment. It was great to see the big capacity units, container handlers and loaders in person and experience everything from bare steel frames being made to testing new units at Heli’s test facility. If you have any questions about the factory or Heli’s full line of material handling equipment please contact us. 04/13/2017 – Introducing the Faresin line of telehandlers!!! Alliance Equipment Ltd. is proud to announce that we are your Alberta dealer for Faresin Industries telehandlers. 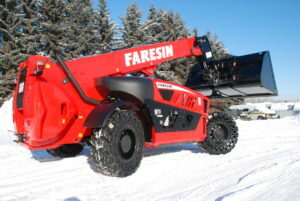 Faresin Industries, based in Italy, has been manufacturing telehandlers and other equipment since 1973. Their products can be found across Europe, Africa, Asia, Australia and South America and we are excited to finally offer this product line to customers in Alberta. Please click HERE for the complete line and contact us for more information.